I want to thank you for sharing your thoughts on immunotherapy in the article in “High Points and Hurdles: Immunotherapy Moves Forward” online at OncLive. 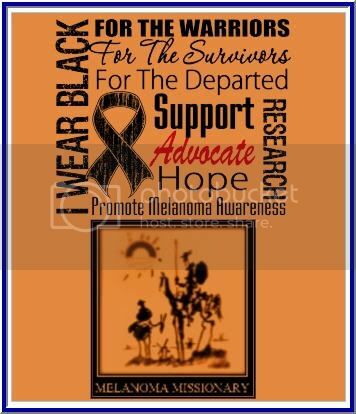 As a patient/survivor/researcher of stage IV melanoma I know first hand of the importance of integrating immunotherapy into a patient’s treatment. Timing of the therapy is everything, along with the patient’s tumor burden and stage. 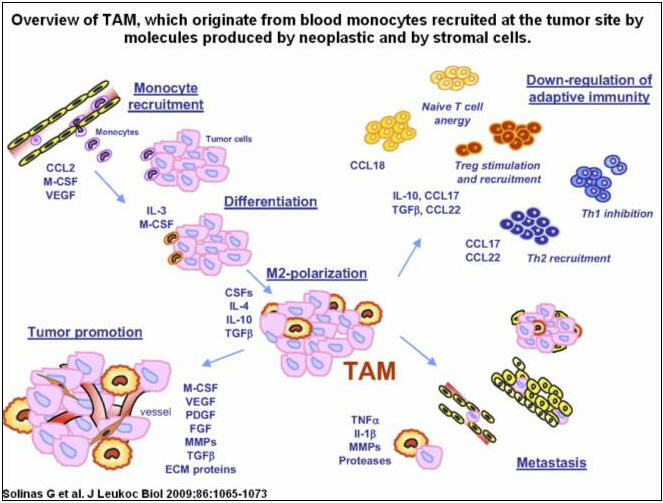 In the early phase of cancer, the tumor cells are trying to establish a foothold in a foreign land. 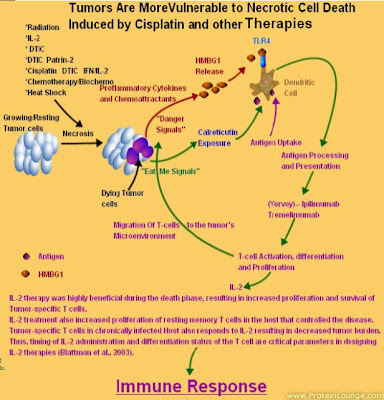 They do this by recruiting Tregs with cytokines (Il-10, TFG-b etc.) along with chemoattractants and suppressive cells. Two of the first arrivals are Tregs along with IL-10. 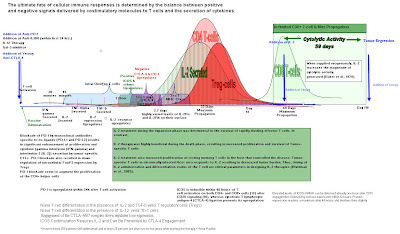 In the early phase of cancer, it has been discovered that the patient’s Tregs are elevated along with IL-10 concentration. 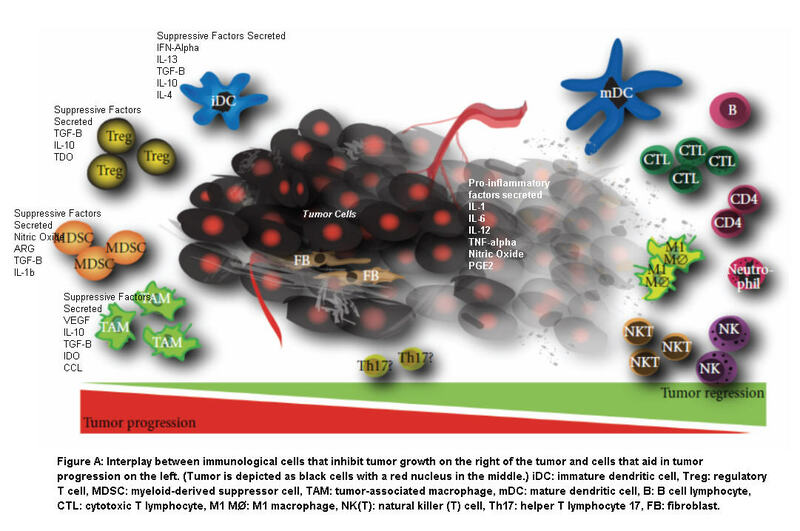 So when the macrophages and immune cells arrive at the tumor’s microenvironment, they encounter suppressive conditions allowing the tumor to continue with growth and progress. The elevated IL-10, IL-4 concentration polarizes the monocyte to the M2, and the T-cells to the Th2 phenotypes and shutting down the immune response. 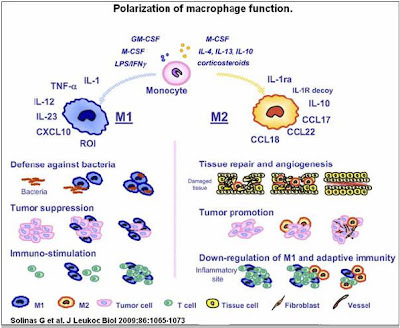 The macrophage also secretes some chemokines (CCL17, CCL22& CCL18). These chemokines attract other cells that have the cell surface chemokine receptors such as CCR4. 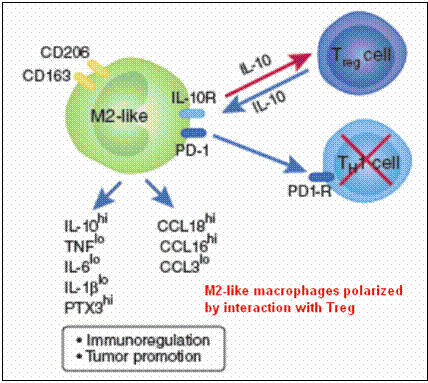 Treg cell migration to Melanoma tumors is mediated by CCL22 released by cancer cells and tumor-associated macrophages. 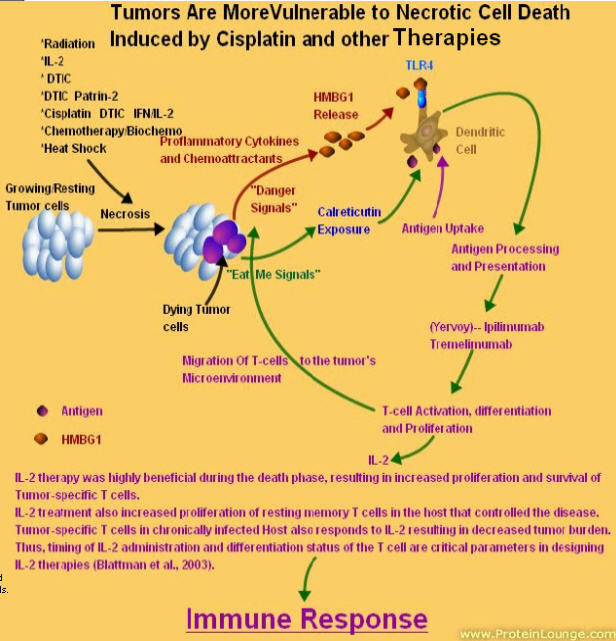 This cytokine plays a role in the trafficking of activated/effector T-lymphocytes to inflammatory sites and other aspects of activated T-lymphocyte physiology. Chemotactic for monocytes, dendritic cells and natural killer cells. Mild chemoattractant for primary activated T-lymphocytes and a potent chemoattractant for chronically activated T-lymphocytes but has no chemoattractant activity for neutrophils, eosinophils, and resting T-lymphocytes This attraction is the beginning of the suprresiveness of the the tumor’s microenviroment. TAM exert strong immune suppressive activity, not only by producing IL-10 but also by the secretion of chemokines (e.g., CCL17 and CCL22), which preferentially attract T cell subsets devoid of cytotoxic functions such as Treg and Th2. IL-10 promotes the development of a type 2 cytokine pattern by inhibiting the IFN-γ production of T lymphocytes particularly via the suppression of IL-12 synthesis in accessory cells. 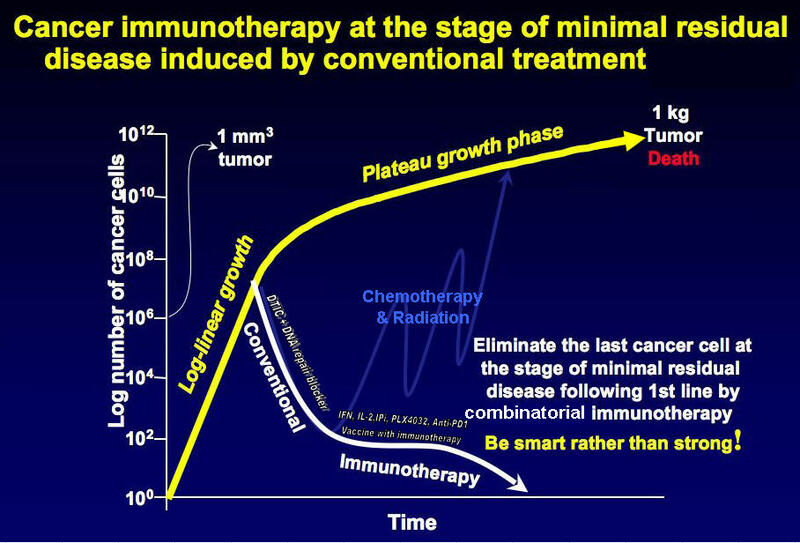 So how can we integrate immunotherapies into treatment timelines to generate the wanted immune response toward the cancer? 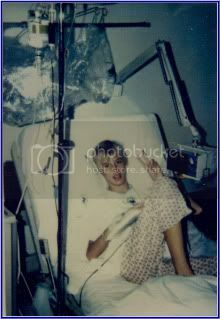 First, you need to evaluate the cancer patient and establish their stage. Second, check the tumor’s genetic code for mutations. Here is a generic graphic on how to activate an innate and adaptive response. 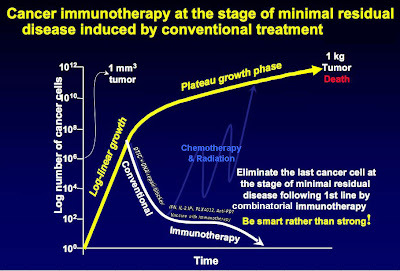 The Bottom line is we need Sequential Combinatorial Therapy with timing and dosage as the major limiting factors in creating the innate and adaptive immune response.